It’s not just people that can get scammed on Craigslist. We wanted to share an email conversation that turned out to be nothing more than a mattress dealer (STL Beds) getting scammed on Craigslist. I thought our STL Beds readers might find this email interesting to say the least. As you will eventually see a caring individual was trying to help orphan kids in Ghana Africa, and she wanted to purchase 12 $1000.00 queen size mattress sets. She was even willing to pay USA sales tax. In the end we found it interesting that she wanted to supply orphan kids with queen size organic beds that cost over $1000.00 dollars eachs That same money could have purchased (60) $200.00 twin size mattress set for the same $12,000.00 budget. This probably would of been enough mattresses to furnish the entire orphanage with a mattress set that the typical teenager sleeps on here in the states. Thanks for having time to talk to me over the phone. Well i want you to quote me some prices on the queen size mattress and also the king size mattress about 3 or 4 different prices, so i can also get back to you with my order also i need to know the method of payment that you do accept, hope to hear from you soon. Pat, Give either Dave or myself Doug a call at the store. 636-296-8540 We would be glad to go over any price or size with you. I am out of the office until after 12:00 today, but if you call me we can even get on the website together and price specific models over the phone. Good hearing from you back… Well am sorry i cant talk on the phone, thats why i did called you with the operator relay am having problem with my ear…am damb and am ordering this mattress to the orphanages. So i will be glad if you can go ahead and quote me with some prices and i will choose from the prices that am interested in, so we can continue hope to hear from you soon. What size are you looking for queen 60 x 80 or king 76 x 80. Second which models are you interested in. What price range are you looking to stay with in or under so I am not guessing and wasting your time on beds out of your budget? Pat, Quick question do you live in the St. Louis Metro area? What city do you live in? I will need to see if it is even possible to ship the item to you b4 we go any further. Pat, As a courtesy I just wanted to let you know that you are working with Doug. Are you planning on coming in and test resting the mattresses first? I would suggest if at all possible to do so. A mattresses feel is subjective and if they all felt the same we would only offer one model. If you must purchase via the internet please see attachment. Also both here are a couple models that are not on the web site as of yet. These are all set prices and include mattress and foundation. Zippered Rainforrest or Natures Select are the same beds. Queen is slightly over budget but is 2100.00 and is a fantastic seller. Okay Doug sorry for calling you David, also thank you very much for your good customer service once again for making this purchase a suscessful….l recommeded by my associate shipping company to take care of the shipping, we recomemded by my associate for a shipping company to pick up the mattress from your store after payment has been made so l will want you to contact the shipping company, Inter- ship asap so that they can pick up the mattress from your store after the payment has been done because l will like to order 12 set of the Harmonious queen set that you quoted $1000.00 for a set (So pls let me know the price without shipping) shipped to the Osu Childrens Orphanage Home in Accra Ghana, west Africa…l will want you to contact them for the frieght charges, weight,diamensions and thier terms of payment and email me back…..l’m ready to order so l will want you to email me back with the Grand total price and plus frieght charges so l can get back with you for the payment with my credit card info via email….looking forward to hear from you back soon….Thank you. Tell us your Craiglist scam story. I was selling a treadmill on Craigslist. 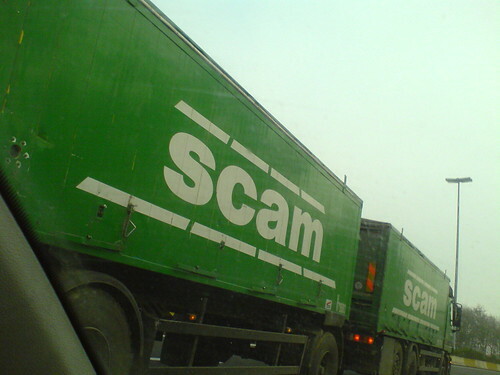 Someone contacted me and offered more than I was asking so I knew immediately it was a scam. I even talked to this person on the phone. I led them to believe I was that dumb, gave name, address, etc.. They sent me a fake check and called a few days later. I laughed at them, asked them how it felt to get scammed, and reminded him of the hurt people like him cause to people that can’t afford to get their hard earned money stolen. I was not nice.